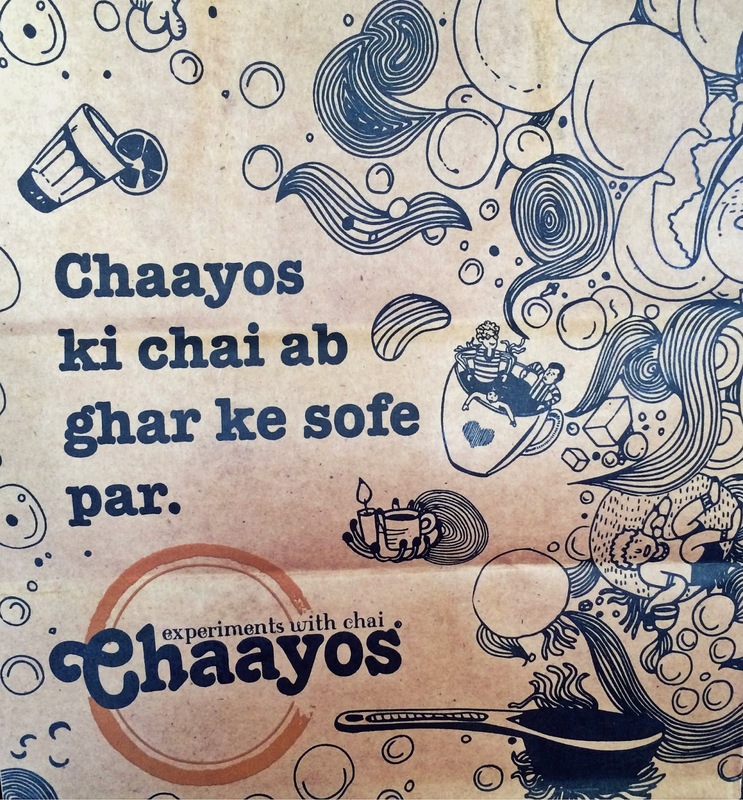 Chai at Chaayos - BREVILOQUENT. 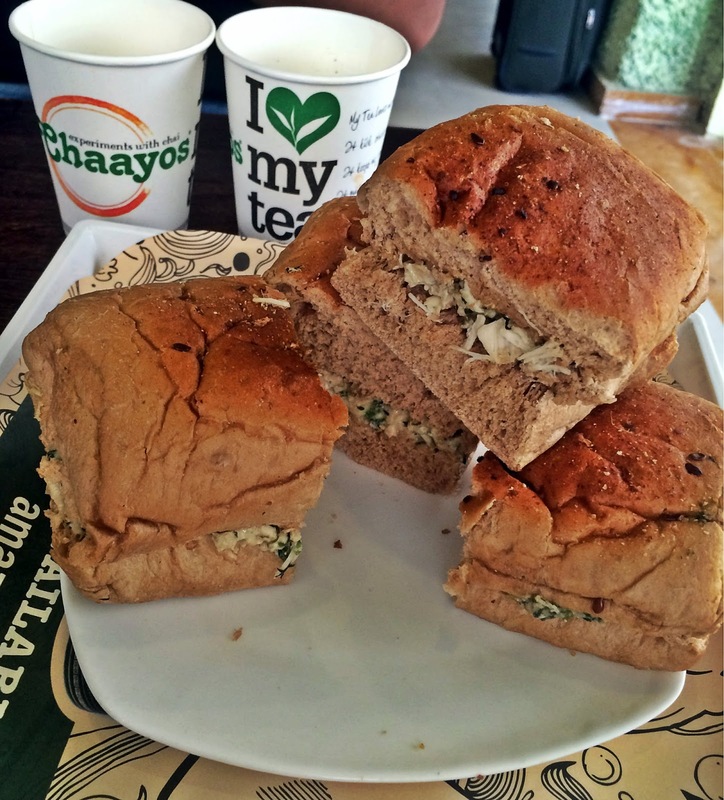 Located in Bandra Reclamation, opposite The Salt Water Café - Chaayos is a must-visit for all tea lovers. 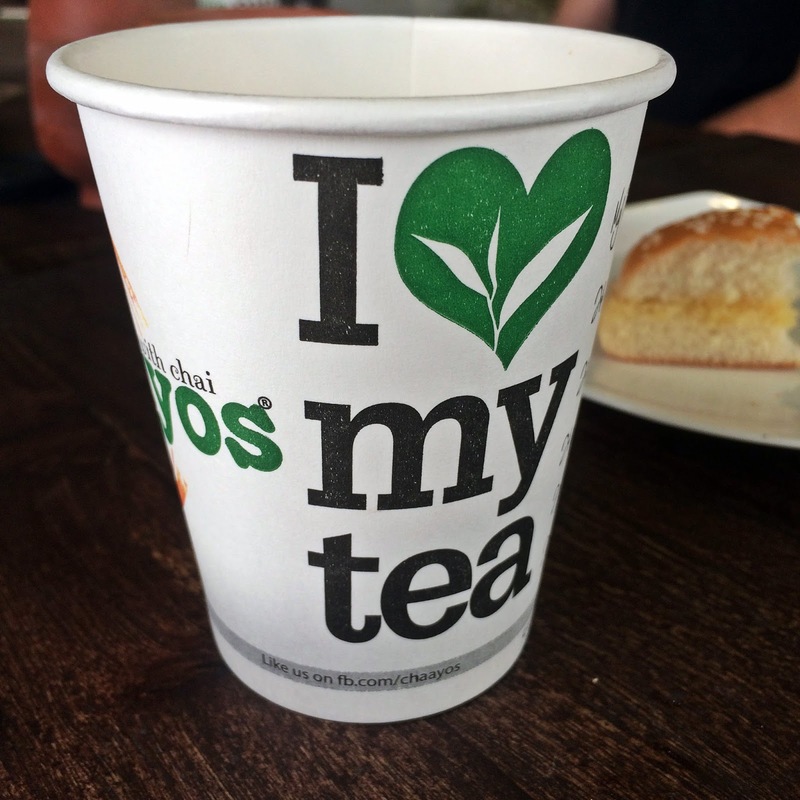 Choose your favorite from Over 25 varieties of tea customizable in over 12,000 ways! The décor is simple but they have tried using various chai elements like – chandelier made of chai-cutting glasses, tea-powder jute bags used as seat cover’s etc. The easy-going ambiance with some great snacks ensures you can make this place your adda for your perfect chai & gupshup. Kulhad Chai was served 1st with a Bun-Maska. 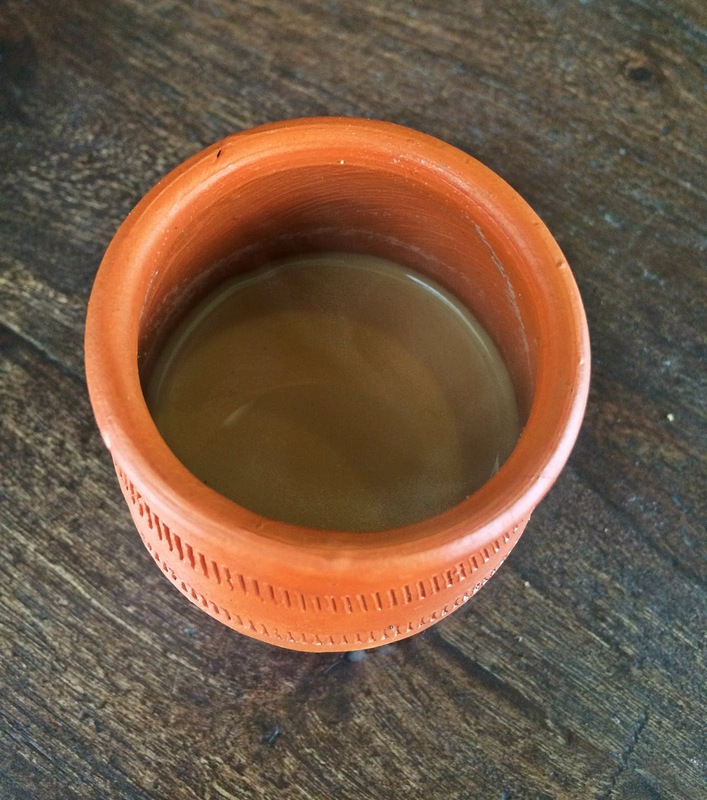 As the name suggests this is normal chai served in a kulhad. 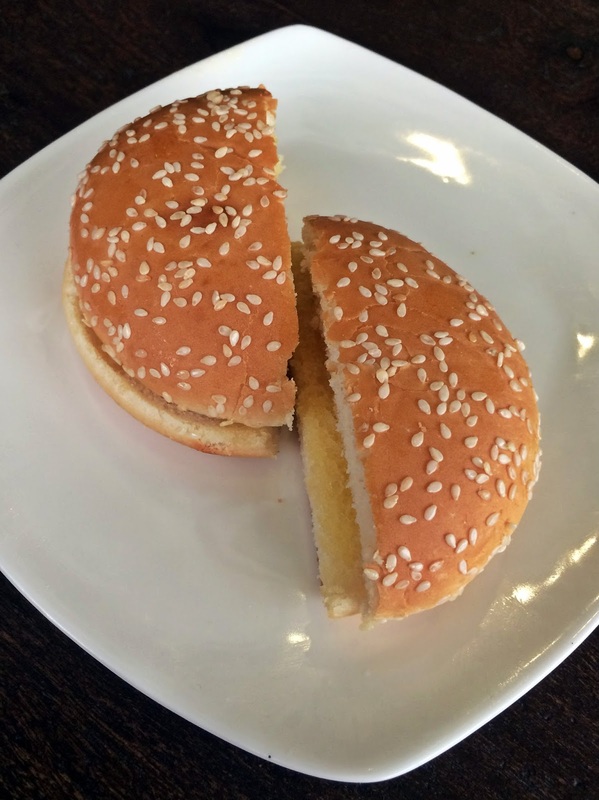 Bun-Maska is a burger bun smeared with butter. Tulsi & Adrak chai came next. 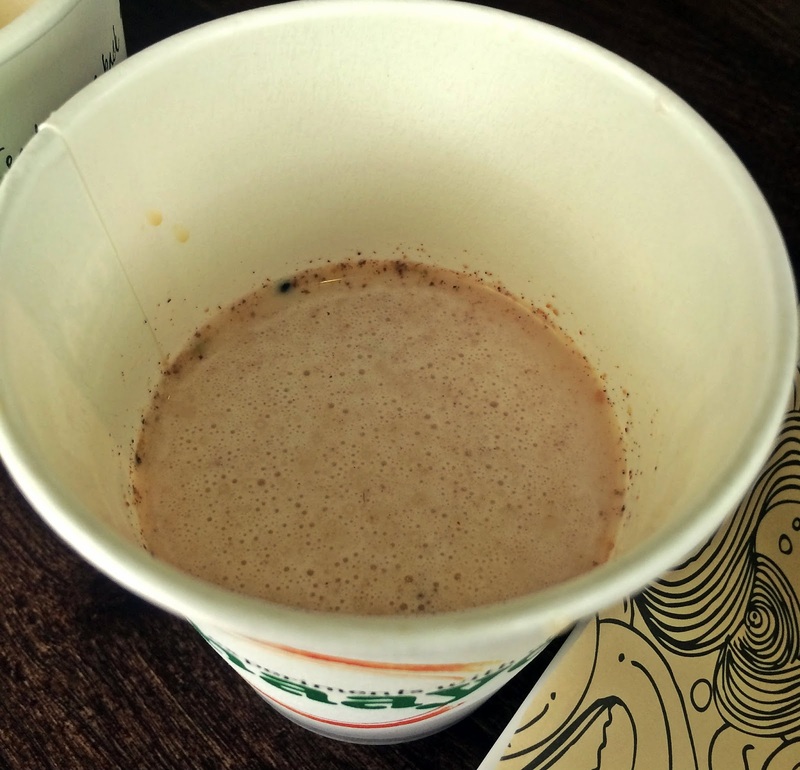 Served piping hot, this chai is best during rainy season & can also sooth your sore throat too. The Thandi Chai followed. I assumed thandi chai to be Ice-Tea but to my surprise, it’s a chai-frappe. Ever heard of aam-papad chai??? Try it at Chaayos. 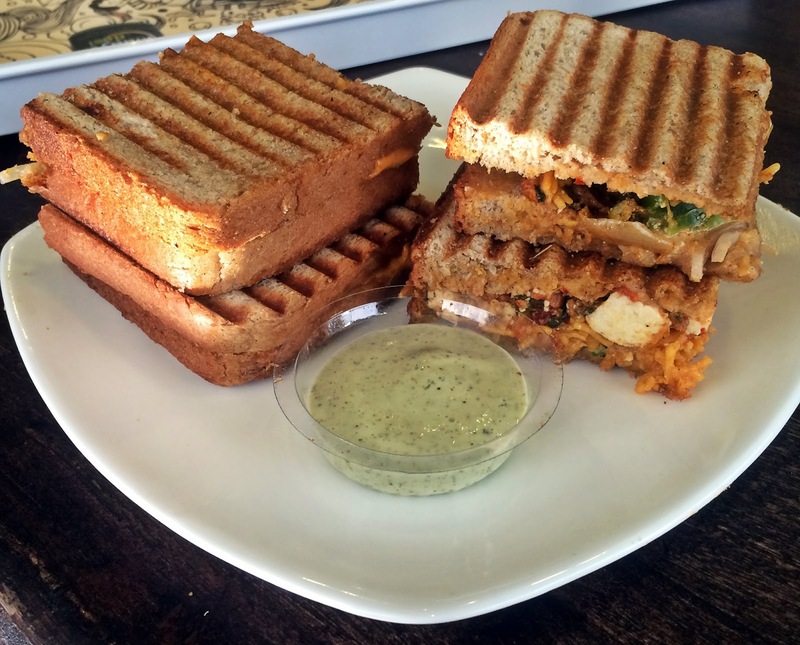 A paneer sandwich was served with a minty dip, was a great snack to accompany the chai’s. 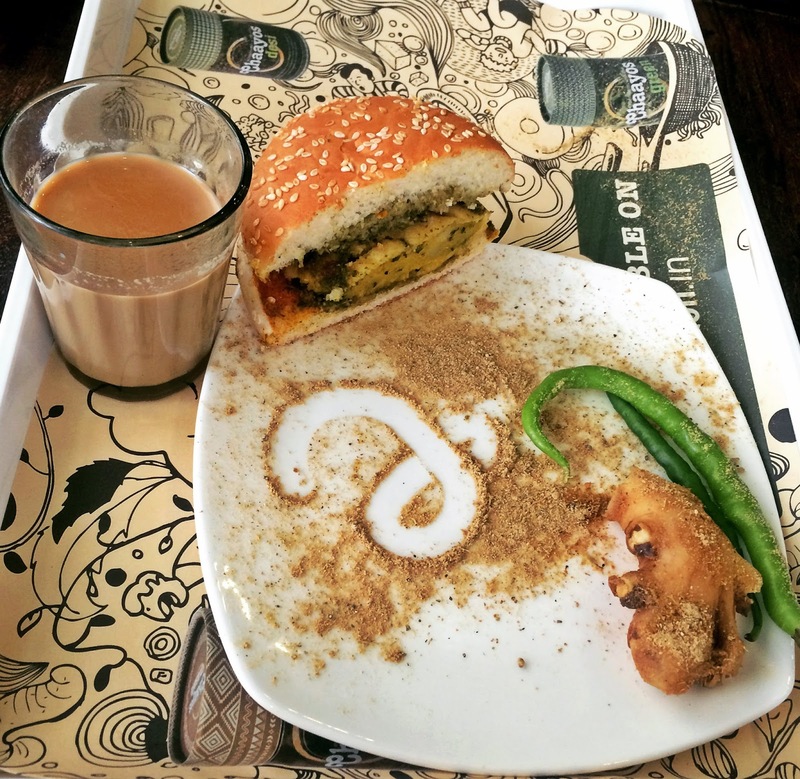 Mumbai style Vada Pav in a burger bun along with Hari-Mirch chai was a great combo. I would like a little bit more hari-mirch in my chai. Desserts??? How can you miss that?? 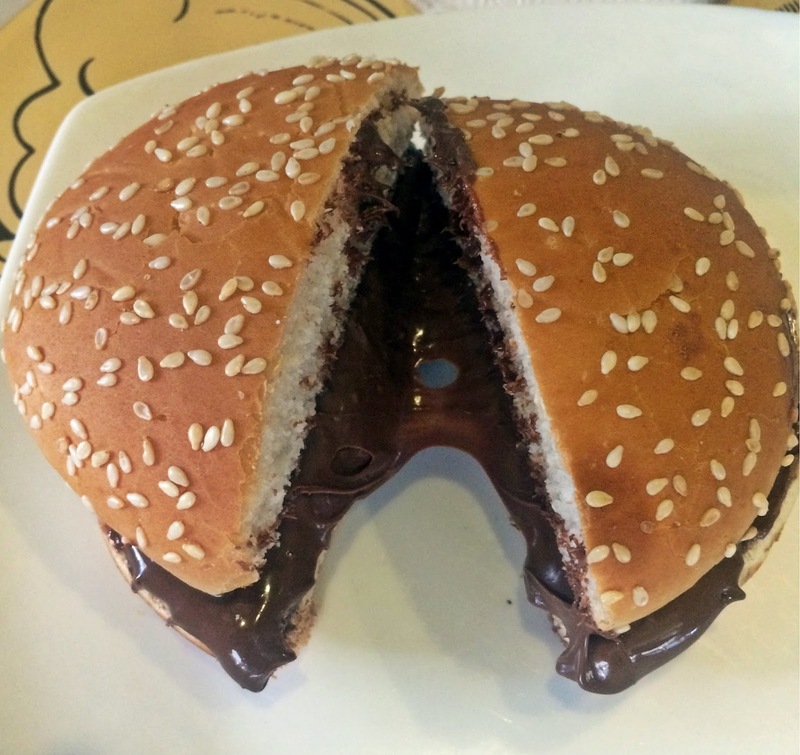 Enjoy their hot-chocolate or chocolate shake with the Nutella Chocolate Pav. 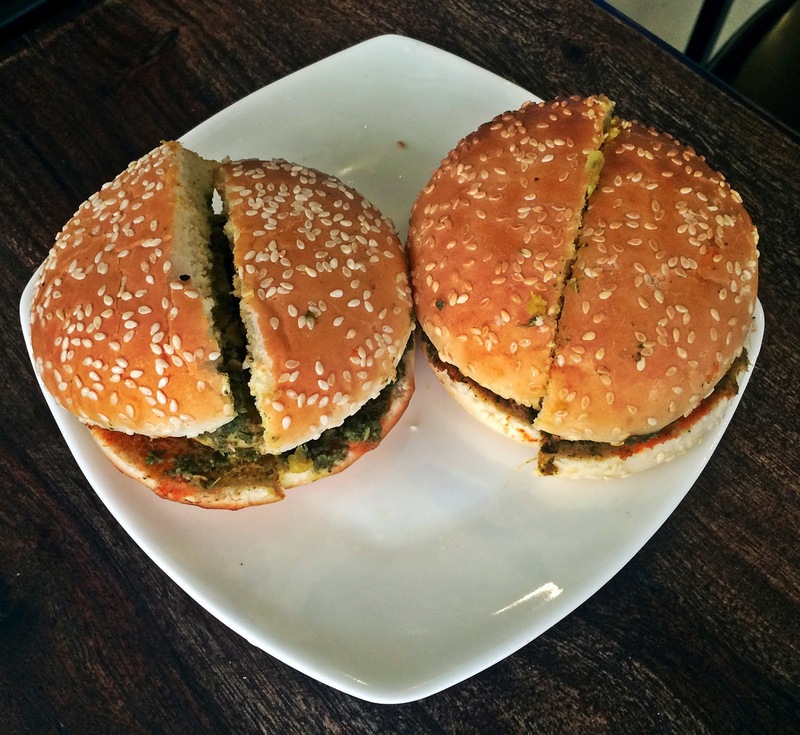 Meghana Petkar - Our foodie from Mumbai, Meghana lives to eat and otherwise on the weekends. A connoisseur, she loves to live through her taste buds. From the streets to the cafes and everything Mumbai, we trust her food suggestions, so should you.